Say Cheers to Young’s Pubs! Young’s pubs have been putting on some great events this autumn. 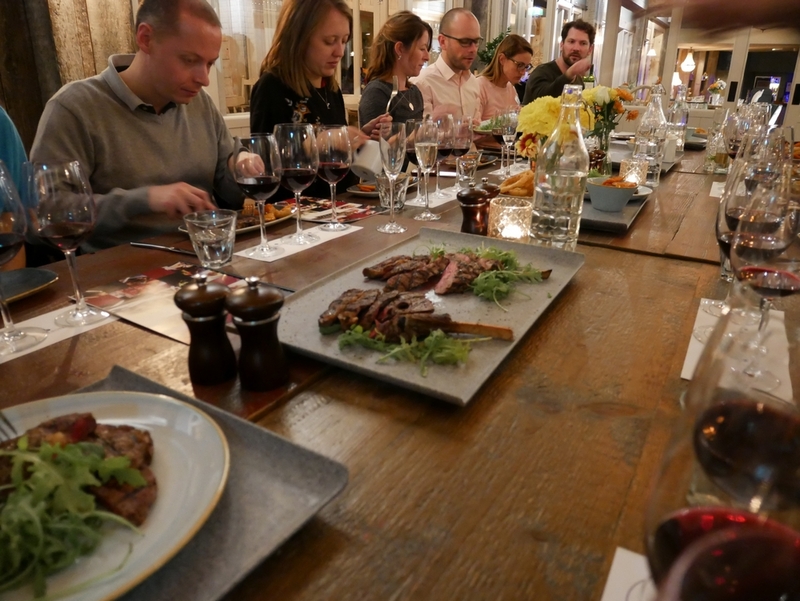 We’d already enjoyed learning how to pluck a partridge at the game night at the Castle in Tooting, and Beavertown beer and pie pairings at the Windmill in Mayfair, so when we were invited to attend the Steak and Malbec night we jumped at the chance. 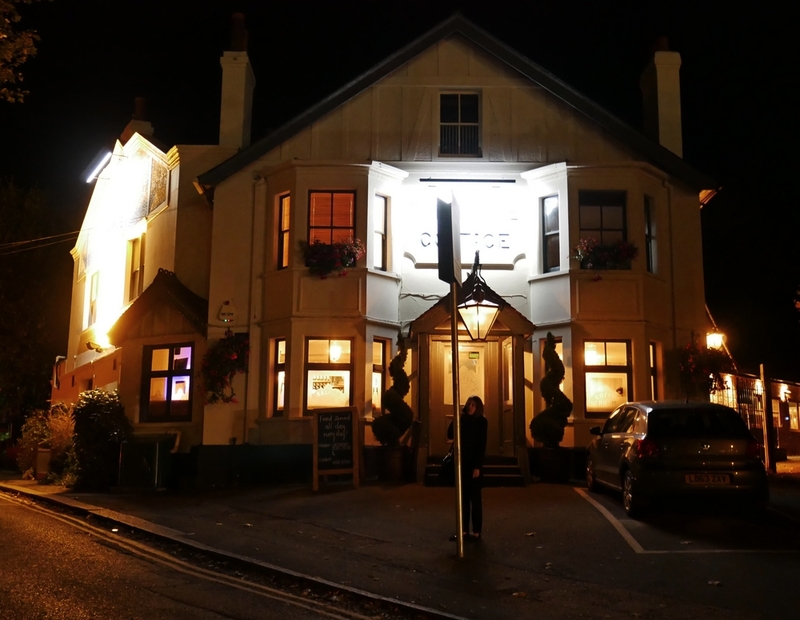 The Home Cottage is another very large Young’s pub, situated a stone’s throw from the railway station at Redhill. 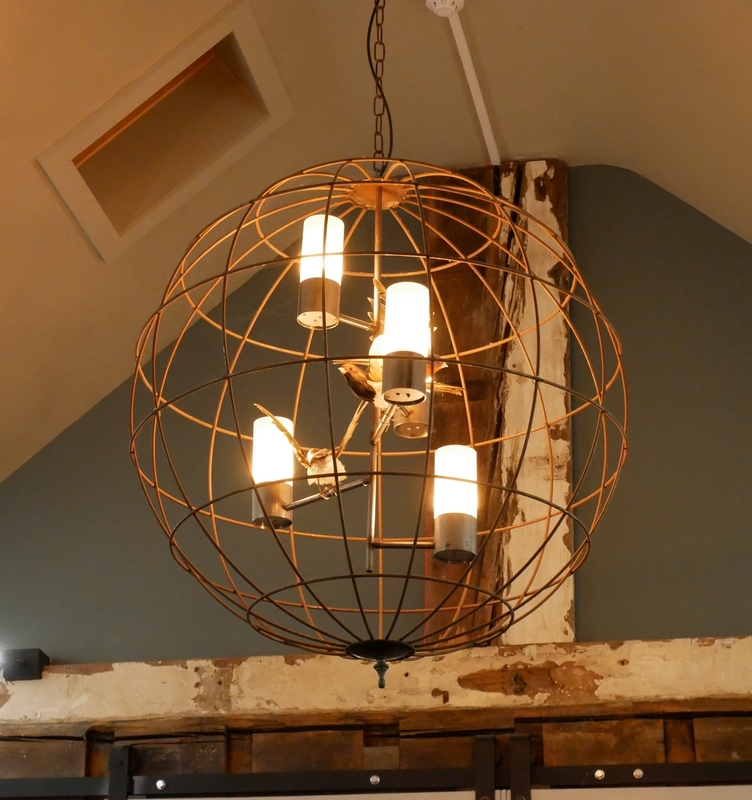 Young’s have clearly tried to make this pub interior feel a little quirky and fun, whilst retaining some of the older features. We were particularly amused by the birds in the lampshades. Our event took place in a lovely event room towards the rear of the pub, where we sat family-style with our fellow steak lovers. I was just remarking to Alex, my partner, what a lovely space it’d be for a party when the man sitting to my right said that he’d hosted his wife’s party there and it had worked really well. 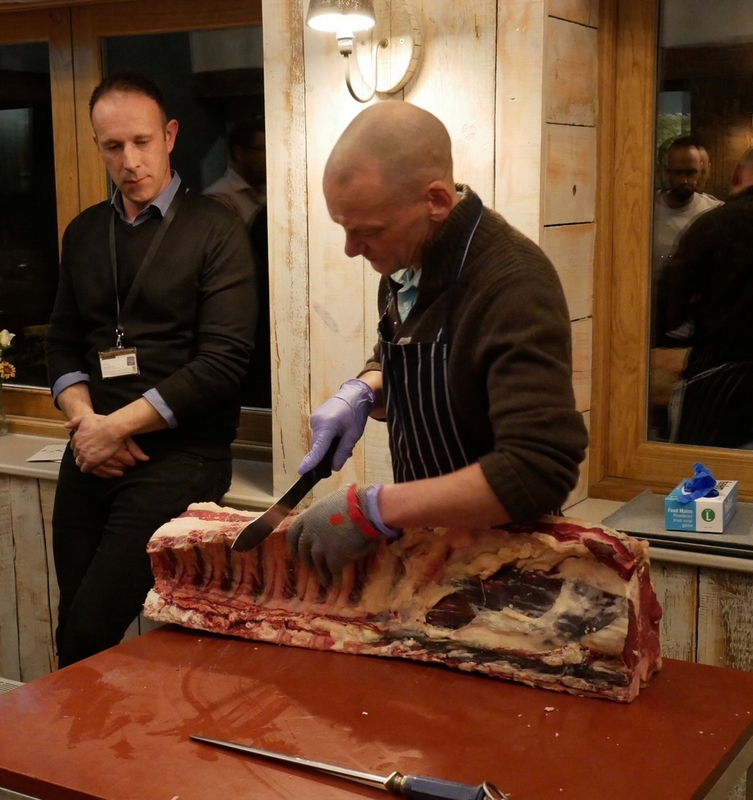 We adjourned to the adjacent room where an expert butcher from Solent Butchers (Young’s supplier) gave us a demonstration of how to butcher a cow, whilst his colleague carefully explained the cuts of meat. The beef from Solent Butchers is all dry-aged in Himalayan salt brick rooms, which makes a huge difference to the flavour of the meat. 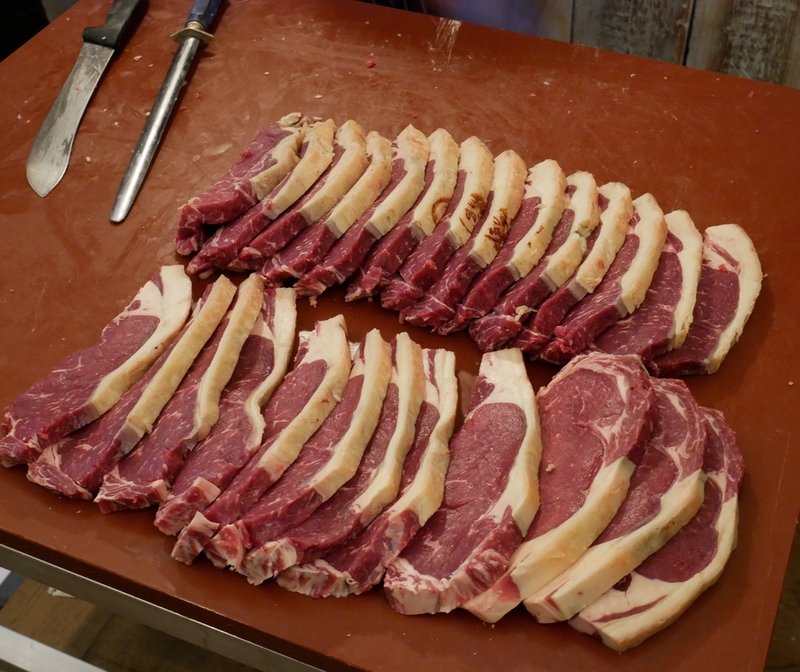 Within a very short space of time, the butcher had produced a fillet, sirloins steaks, t bone steaks, a cote de boeuf, rib eye steaks, and shown us how to French trim a rib. It was an impressive demonstration, and he answered a myriad of what must have seemed very basic questions from all the diners. As soon as he’d finished, the steaks were whisked away to be cooked for our supper. While they were being prepared a representative from Bodega Norton introduced us to our first Malbec. 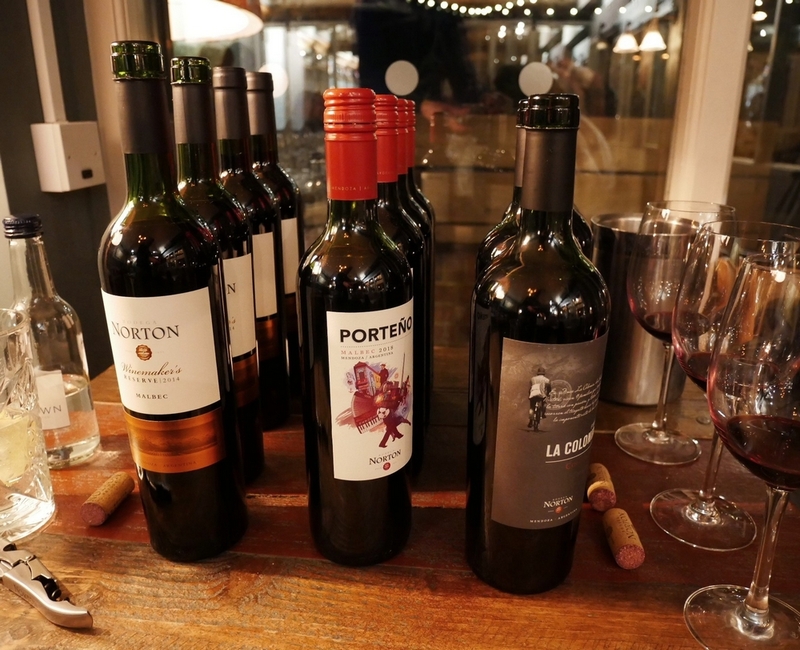 We first tried the Norton Porteno Malbec 2018 with some charcuterie, bread and cheese straws. The wine worked perfectly with the rich food. 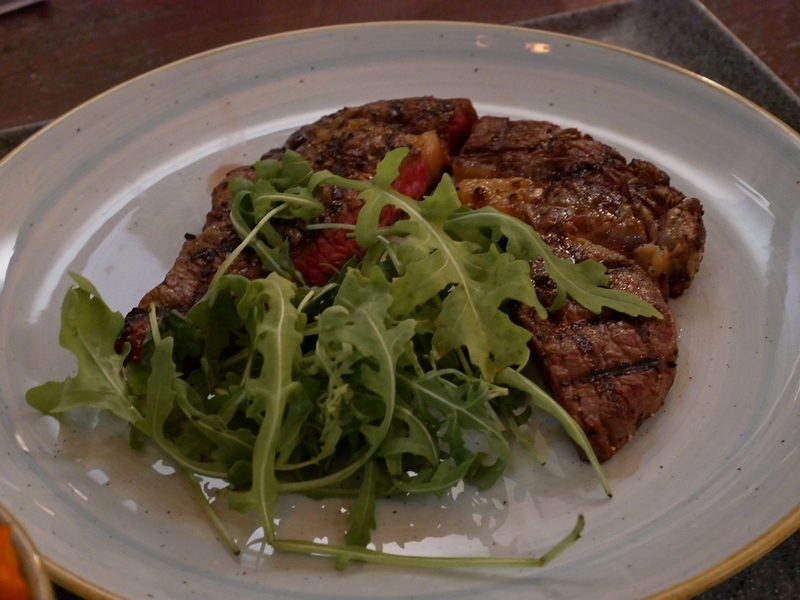 The smell of steak started to waft into our dining space, and we helped ourselves to the first cut from the sharing plates. Cooked medium rare, there were appreciative noises from all around the table. This was paired with the Finca La Colonia Coleccion Malbec, another successful match. Then the second course of steak arrived accompanied by some delicious chunky chips and sinful onion rings. We sipped the Norton’s Winemaker’s Reserve 2014 with delight; the best had definitely been saved for last. Dessert was a chocolate brownie and ice cream – but I was too full to manage that. This was a really informal, informative and fun event. The layout of the room ensured that there was plenty of interaction between the diners, and the format of the masterclass meant that we had all got talking to each other before sitting down to eat. The event cost £30 and included a glass of fizz on arrival. I think that this is tremendously good value, and I wouldn’t hesitate to recommend it to anyone. Young’s continue to put on a whole host of interesting and fun evenings. Why not see what your local has to offer?